Are you looking for an easy weeknight meal that full of flavor and made with fresh ingredients, but you have someone in the house who can’t handle the smell of fish? I have a solution for you thanks to Glad Odor Shield Trash Bags because you’re not going to want to miss out on these Caribbean Fish Tacos. They are so good! You probably noticed that I don’t have a lot of fish recipes on my site. There are two major reasons for that. The first is because I didn’t grow up eating fish because my dad could not stand the smell of it in the house. Therefore, I’m not extremely comfortable with cooking it. The second reason is because I managed to marry a man just like my dad that also could not stand the smell of fish. Joe can smell fish a mile away. It’s like a sixth sense so it makes it difficult to cook it. 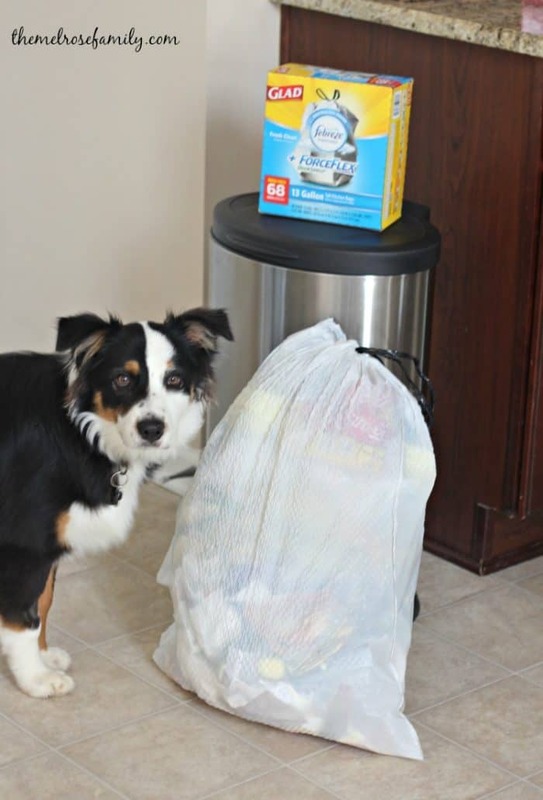 Luckily, Glad ForceFlex Odor Guard Trash Bags neutralize the smell so he doesn’t even notice if I make it when he’s not home. I decided I had to take the plunge because as many of you probably know from watching my SnapChat feed, Joe and I spent our tenth anniversary in Key West. The food everywhere we went was amazing. I made sure to ask the locals where their favorite spots were. Everyone always recommended Garbo’s Grill and it did not disappoint. It was actually recently featured on Diners, Drive-Ins and Dives when it was just a food truck. They still now serve out of a food truck, but they are on the same property as Grunts Bar so that you can enjoy a cocktail while you eat the best food on the Keys. I had the Cayo Fish with fresh mahi mahi, red cabbage, mango, cilantro, onion and the house Caribbean sauce. I loved it so much that I just had to replicate it when we got back. There’s a funny story though behind my replicating of their Caribbean Fish Tacos. I made them on a Thursday night and we left the next morning to head out of town for a long weekend. I didn’t think anything of it until I remembered Monday morning that the girls felt it was too spicy so their tacos ended up in the trash. Yes, we left the house with fish in our garbage and were gone 5 days! All I was imagining was the entire house wreaking of fish when we walked in Tuesday. Surprisingly enough, our house didn’t smell at all! 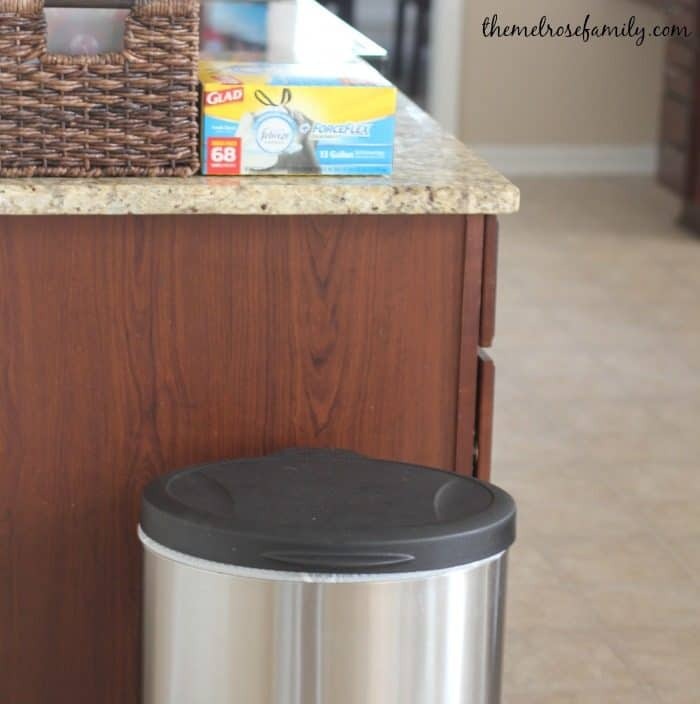 Thanks to Glad ForceFlex Odor Shield Trash Bags with Febreeze the odor was neutralized and never escaped from the trash can. I was shocked, but I’m pretty sure no one was more pleased then my husband who is not a fan of the smell of fish at all. After cooking the tacos he made me immediately start up my diffuser with purification in it to get rid of the fish smell in the air. When I realized that the fish was in the garbage I hadn’t told him until we were pulling into the driveway and he was relieved when he walked in a didn’t smell it. Even Charlie couldn’t pick up the scent of the fish in the bag. The stretchable strength of the ForceFlex bags and the odor neutralization literally saved our weekend getaway. Plus, once the trash was removed from the bin, it still didn’t smell! Be sure to check out Glad.com as well as their Twitter, Facebook and Instagram feeds for more information about their fabulous products. 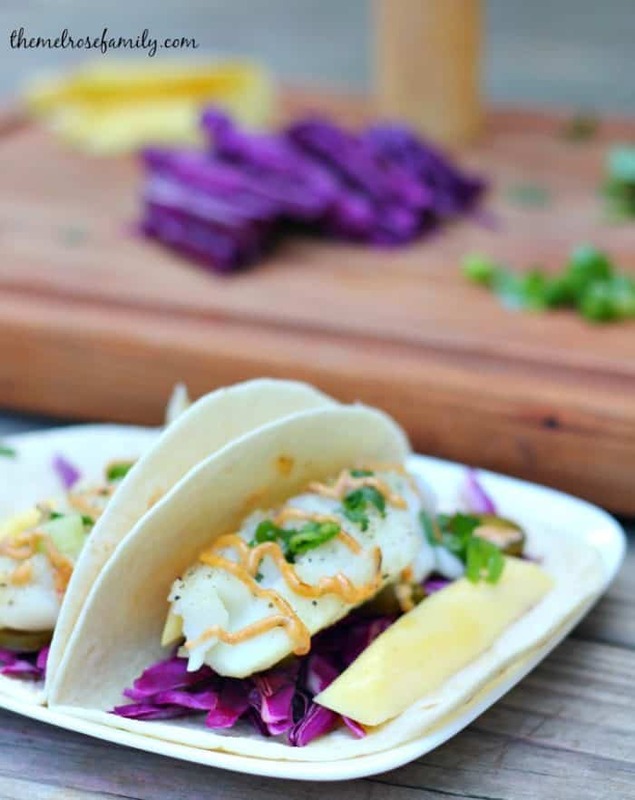 So now you can make these Caribbean Fish Tacos without worrying! Just enjoy the amazing flavor and in your mind think that you are poolside in Key West! I know I certainly did. Not sure what to make for dinner? 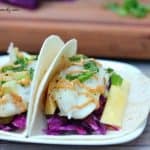 These Caribbean Fish Tacos are a copycat recipe from Garbo's Grill Key West and are an easy weeknight meal. Preheat the oven for 400 F and bake the mahi mahi on a tin foil lined pan for 12 - 15 minutes. Combine the mayo, jerk seasoning and lime juice to create the sauce. Place a handful of chopped red cabbage on the bottom of each tortilla. Place mango slices on either side of the red cabage. Top with jalapenos, green onion and cilantro. Place half of each mahi mahi filet on top of the cabbage and drizzle with the caribbean sauce. Garnish with cilantro and green onion. Make 8 tacos. This is a sponsored conversation written by me on behalf of GLAD . The opinions and text are all mine. Jenny, this recipe looks and sounds so good!You nailed it with the odorfree bags, too. The smell of fish in the houseis the reason that many of us have avoided fish recipes. Now we don’t have to. YUMMY! 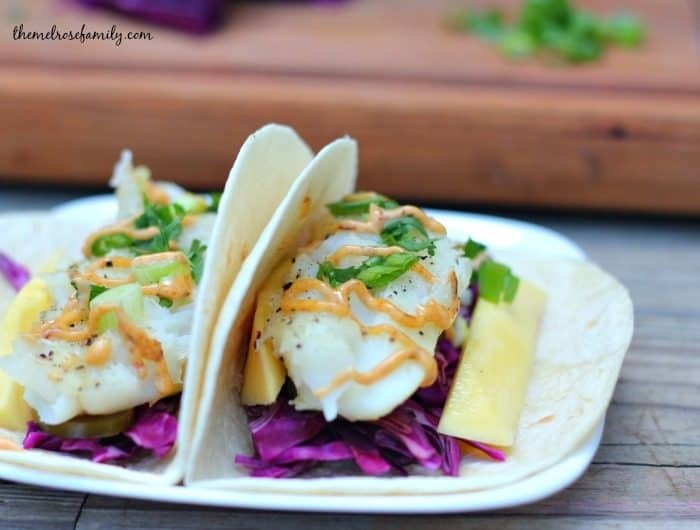 My sister is a fish taco fanatic and would love this recipe!